Alan and Catherine’s 1480 print/hour Noritsu QSS 3901G at the factory before being air freighted to Australia. The QSS-3901G uses direct laser diode modulation on all R, G, and B colours to produce 640 dpi, 12-bit photo prints, with 5x more pixels – 79 million pixels for an A3 size print. I looked at the two major dry options (Epson D3000 and Noritsu Green 3), and while they looked good, and did just about everything we do now, I was still not quite convinced. Yes, I knew about the power savings and reduced maintenance, and yes, I knew they were easier to start up and use, but still the doubts remained, even though the quality from the Green 3 was excellent, and I did love the 12×12-inch double-sided idea for photo books. But still the doubts remained. We had a problem with the Epson with its size, and where it would have to be located. There was also the challenge of new software to learn to use. The Green 3 ticked all the boxes for size and software. Up to this point, I’d been working with Shane Martin at Australian Photo Supplies (Noritsu Green 3) and Darryn Fiske at Independent Photo Supplies (Epson D3000). I then rang Noritsu and spoke to Bonnie Cheng who suggested I come over and look at a Green 3 at the Noritsu office. While I was looking at the dry machine, we discussed a possible wet option, and I started to look at the new QSS 3901G. 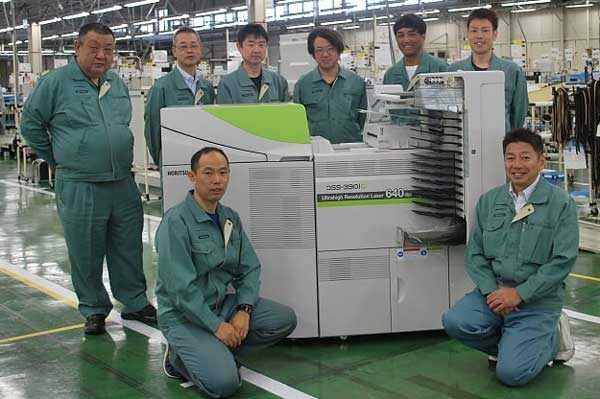 This machine is externally very similar to our 3202SD and it meant that we could continue to use our existing paper and chemistry (we are not using SM), and we could continue to use the 16+ paper magazines which we currently have. 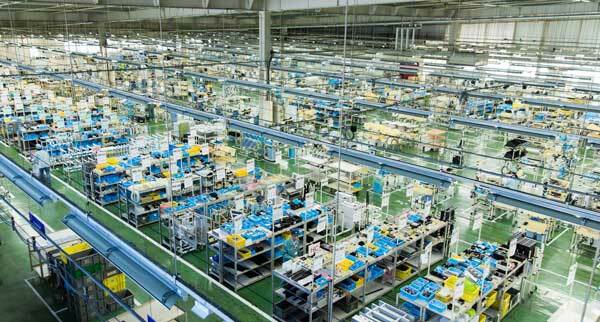 The production floor at Noritsu. It would appear silver halide technology lives! Our current paper offerings are gloss and lustre, as well as metallic and canvas, the last two of which I’m not convinced can be matched by the dry options. It meant we would have almost the same software as we have now, albeit updated, and faster, and we could add another film scanner and work station to our equipment. Reliability issues with our 3202 were the start of the plan to change over our equipment, plus we needed additional scanning capacity to keep up with our growing workload of slides and negatives. Kodak Alaris got involved with the possible changeover to the new wet machine, and I no longer had any doubts. We had great support from APS and IPS, but our options with Kodak Alaris/Noritsu were even better. The decision was made and we ordered a nice new 3901G, an additional film scanner, a conversion kit for our current scanner and a bunch of other goodies which will easily take us into the next 4 to 5 years. Noritsu were fantastic, and the lab was flown out to Australia on Qantas a week or so ago. We are also planning to upgrade our film processor in the near future with a nice refurbished Fuji unit from Jeff Crowley. All in all, we are more than positive about the future of this industry, and what our little business has achieved. Our sales are increasing and we are looking forward to the future. Our personal thanks go to Bonnie Cheng at Noritsu, and Paul Cullity at Kodak Alaris for putting together a great package for us. Let’s hope for you as the worldwide use of Ag paper reduces that the paper and chem price doesn’t rise too much. SA I believe has the highest power costs, how many solar panels can you fit on your roof? Good on you Alan & Catherine ! Great to see! we now have our second Noritsu scanner up and running and we are really enjoying the additional capacity that the 2 scanners have given us. All we need now is a new film processor and we will be good for another 10 years!